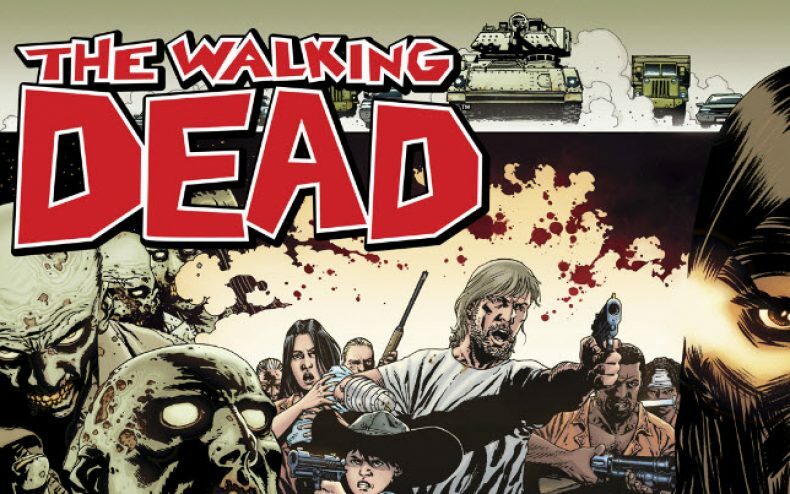 Most of your friends can probably quote fun facts about “The Walking Dead” TV show, but how many have taken the time to study the comic book, the brainchild of Robert Kirkman? If you really want to impress your friends at the next “The Walking Dead” premiere party it is time to bring out your comic book knowledge and embrace your inner geek. If you don’t have the time to read through all the comics and look for the major points, we’ll do the work for you. Here are some of the top difference between the TV show and the comic book. Shane Walsh played a heartbroken villainous character in both the comic and the television show. However, there are some major differences between the two mediums, most notably being the manner in which he death. In a dramatic episode of season two of the television show, he is killed by Rick Grimes, and when he comes back as a zombie he is put down by Carl. In the comic book these roles are reversed. Rick and Shane are fighting and Carl actually shoots Shane in fear for his father. Rick then puts zombie Shane out of his misery. Season 1 of the television series has the characters turning to the The Center for Disease Control (CDC) for help and a place to stay. When they get there they find a lone scientist, Dr. Jenner, who seems less than happy to see them. Their stay is short lived as the good doctor tells them (almost too late) that the building is self destructing. This is a major scene as one of the cast members, Jacqui, gives up the fight. The big difference is none of this happened in the comic book at all. There was no visit to the CDC, but instead they find a town of survivors called Woodbury. Who isn’t a fan of Daryl Dixon these days, the crossbow shooting redneck and star of the show and now a new video game “The Walking Dead: Survival Instinct.” The biggest shocker for fans of the show is to find out that this character was not part of the original comic book stories. 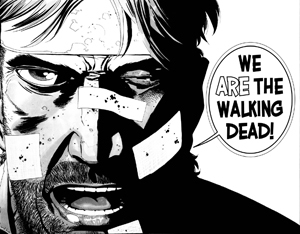 There is no Daryl to be found in the inked pages of the original books. The actor, Norman Reedus, has publicly said he would like to be added to the comic books future stories, but that has yet to be seen. And despite the fact that most TV shows and movies are based on a finite number of comic book issues, “The Walking Dead” comic book continues to run, published by Image Comics, and already passed issue one hundred. At least when you deal with Image Publishing, you only have to worry about major changes to continuity, and not casting George Clooney as your lead.